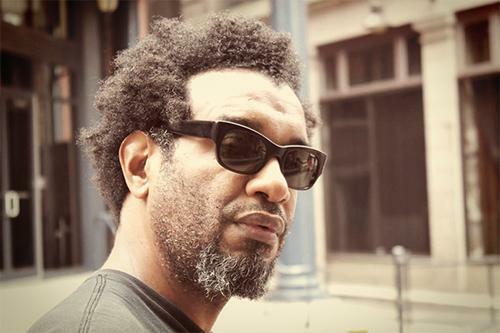 Colin Channer's most recent book is the poetry collection Providential, which takes as its unlikely subject the Jamaican police. His fiction includes the novel Waiting Vain, the novella The Girl With the Golden Shoes and the story collection Passing Through. Colin is the editor of two anthologies of fiction—Kingston Noir and Iron Balloons—and coeditor with Kwame Dawes of the verse anthology So Much Things to Say: Over 100 Poets From the First Ten Years of the Calabash International Literary Festival. Born in Jamaica, he moved to New York in his teens. At the heart of my work is the Caribbean. It is the heart of my esthetic—a complex, multivalent, multilingual, polyphonic place of being. My work tries to engage the notion of a complex Diaspora where there is no center for home and yet home is always fluid. In my stories, novellas, novels and poems I end up coming back to the themes that most intrigue me—the essence of human identity where a history has been robbed; the ways in which the tyranny of states inflicts more intimate tyrannies in the domestic sphere; the place of women in journeys of loss; the ways in which the domestic sphere is also a place of love but also a place of erasure; all the multitude of ways in which my own travels, my migrations from Jamaica to the United States has required me to be flexible, to be responsive, to be intellectually capacious, and to have an imagination that always pushes the limit while leaving compassion in control. My classroom feels like a lab, atelier or rehearsal studio. It depends on the day. My teaching prioritizes innovative, often anecdotal approaches that are deeply embedded in a tradition of literary inquiry. At the same time I draw from disciplines such as dance and architecture, cinema, mime, graffiti and various forms of graphic design. Irrespective of my points of reference, some things remain the same. I prioritize narrative problem solving and deep reading as core skills on par with mechanical and stylistic aspects of craft. I nudge my students to take risks in structure, voice, characterization, genre-mashing, genre-invention, and mechanics. At times I encourage them to stress their material in the context of their craft techniques to a point where the writing fails. For what is fiction about if not possibility, about hypotheticals considered, rejected then taken onboard. I'm an immigrant from Jamaica who came of age creatively in New York. At the heart of my work is the Caribbean. It is the heart of my esthetic—a complex, multivalent, multilingual, polyphonic place of being. I encourage students to bring their complexities with them, to not leave them at the door.